The world’s approach to cancer is changing. While conventional cancer treatments (CCT) — chemotherapy, radiation and surgery — have prolonged the lives of millions of cancer sufferers, each is still far from an ideal solution. The drawbacks include the invasiveness and risks associated with surgery, and the toxicity of chemotherapy and radiation. Between the three core cancer treatments, we are still yet to arrive at a true ‘cure’ for cancer. The approach has been to focus on stemming the growth of cancer cells, prolonging a patient’s lifespan and reducing pain and complications. But there is change afoot. A suite of new treatments are coming to the fore which don’t directly remove or attack cancerous cells, rather the mechanism is via selective support (or inhibition) of some of the body’s own cells in order to help a patient heal themselves from cancer. While these are oversimplified here, they point to the fact that these treatments are highly reliant on context, the condition of the patient, and the specific type of cancer being treated. Rather than the somewhat scatter-gun approach of chemo or radiation, these treatments are personalized and have the potential to be more targeted depending on the cancer profile and therefore more effective and less harmful to the patient. The particular area of immuno-oncology received widespread attention in Australia in 2016-2017, through AFL player Jarryd Roughead’s public battle with melanoma. After a few months of treatment with widely used immunotherapy drug Opdivo, Roughead was given the all-clear by his doctors. Amazingly, the same day he got this news he was back in training with his Hawthorn Football Club peers. The same drug has also received attention for showing some surprising positive effects on HIV, although those findings are preliminary. Two other areas of oncological study are gene therapies and ‘oncolytic virotherapy’ to treat cancer. A new modality known as ‘gene transfer’ works by introducing new genes into a cancerous cell or the surrounding tissue to cause cell death or slow the growth of cancer. Clinical trials have returned some game-changing results, showing that a wide range of genes and ‘vectors’ can be manipulated to achieve outcomes. ‘Oncolytic virotherapy’ uses viral particles that replicate within the cancer cell to cause cell death, in a way using one form of sickness to strategically treat another. It is an option being currently investigated with particular focus on metastatic cancers. Scientists at the Dana-Farber Cancer Institute in Boston have even designed a gel to deliver immunotherapy directly to the area from which a tumour has been surgically removed. Through testing on mice, they found the gel helped to prevent tumour recurrence at the primary site. While a long list of studies and trials underway in these modern fields of oncology, what’s clear is the fact that the conventional three treatments (surgery, chemo and radiation) are no longer the only, or even necessarily the primary, options available to those with cancer. ASX small-cap Prescient Therapeutics (PTX) is bringing two novel cancer drugs to the table; PTX-200 to treat breast cancer, ovarian cancer and acute myeloid leukaemia (AML), and PTX-100 to treat a range of solid and blood cancers. Both cancer drugs have been developed to precisely target two important pathways implicated in the growth and spread of cancer: the Akt and Ras pathways. Akt and Ras are two differing growth molecules found in cells and they act as a switch. In normally functioning cells the switch will flick ‘on’ and ‘off’ as required for health, however in cancer cells the switch can get stuck ‘on’. When this happens it leads to the runaway growth that’s typical of cancer cells, and what makes them so deadly. The effect of PTX-100 on the Ras pathway, and PTX-200 on Akt, is to essentially flick this switch ‘off’ — and ultimately result in cancer cell death. PTX set out with the objective of making these therapies to provide an option for patients whose cancer has become resistant to traditional chemotherapy. The market for AML, for example, carries a lot of promise. In 2016, Celator (NASDAQ:CPXX) climbed rapidly to a ~$780 million valuation on the back of positive trial results in AML, and was then snapped up by Jazz Pharmaceuticals in a $1.5 billion cash takeover. Professor Jeff Lancet was the principal investigator on the Celator trial — incidentally, the same man who now leads PTX’s AML trial. It should be remembered here that this is a speculative stock, so investors should seek professional financial advice if considering this stock for their portfolio. It’s the work PTX is doing on breast cancer that has the market talking. Its PTX-200 targets HER2- breast cancer, which tended to be overlooked by drug developers who instead have made tremendous progress on HER2+ breast cancer drugs. In fact, the American Society of Clinical Oncology (ASCO) issued new practice guidelines in 2014 which encouraged trials of new HER2- drugs, to address this imbalance. PTX-200 tackles the issue of Akt over-activity, an ‘adverse prognostic factor’ for breast cancer, and aims to treat those with HER2- breast cancer within the stage of preoperative (neoadjuvant) therapy. By switching off aberrant Akt, PTX-200 is aiming to improve outcomes for these breast cancer patients who would otherwise have a poor prognosis. Some experts in oncology are questioning the risk-benefit profile and efficacy of chemotherapy in the treatment of some early-stage breast tumours even though chemo has traditionally been a staple of breast cancer treatment. There is a shift towards less, or no, chemotherapy in treating the disease or trying to make the chemotherapy work more effectively. While not all doctors agree on this shift away from chemotherapy, there is a widespread re-assessment of how breast cancer is treated which has opened the way for non-CCT treatments, or a lower use of these treatments supplemented with options (like Opdivo or PTX-200). More doctors and patients are now open to this than ever before. 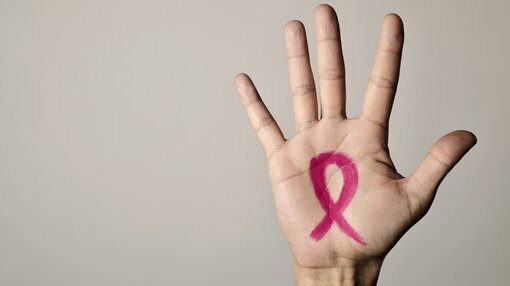 One of the key reasons for this shift in approach is due to the toxicity and side effects of both chemotherapy and radiation treatments inflicted on those with breast cancer. That’s why treatment options which can aid the body’s ability to neutralise or kill off cancer at a cellular level are viewed by some as the dawning of a bright new era in the field of oncology. A less toxic treatment option not only leaves the patient in an arguably better condition to heal from cancer and fend off a future recurrence — there’s also the promise of a better quality of life for cancer sufferers post-treatments.